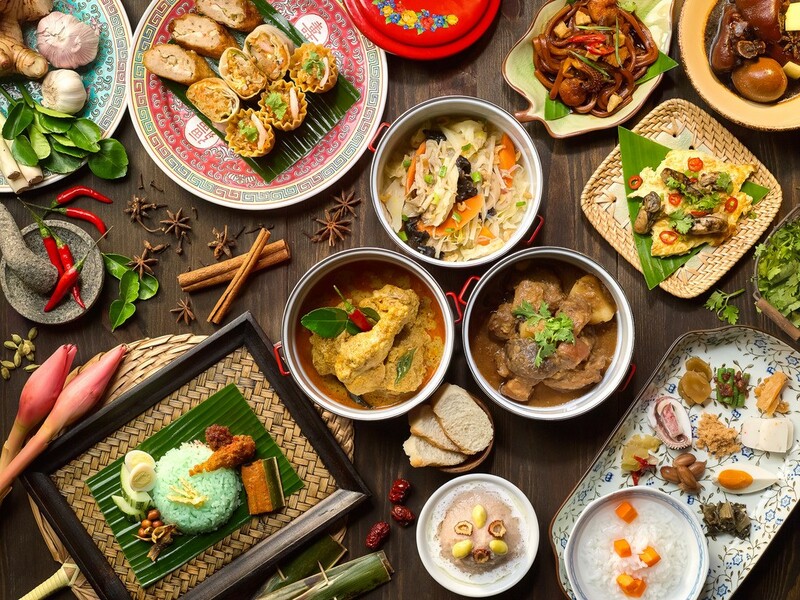 How to Excite Your Tastebuds In Vietnam! Grab yourself some Pho while you’re in Hanoi, a city where most will argue this dish originates from. Others will claim it originated in Nam Dinh, 50 miles away, but don’t listen to them. This famous traditional dish consists of rice noodles in a clear broth, accompanied by beef and vegetable garnish, such as green onion, Thai basil, bean sprouts, and cilantro. Pro-tip: Hold the soup spoon in one hand and chopsticks in the other. You’re going to need both. Oh, and it’s not pronounced “Fo”, it’s “Fuuuuh”. Okay, now you’re ready to dig in! Bahn mi hails from Hoi An, and means “bread” or “wheat cake.” But don’t let the name discourage you; it’s a lot more than just a bread roll. It’s a baguette sandwich filled with deli-style pork, pate, and veggies like carrots, cucumber, cilantro, sweet chilies, and daikon (white radish). It’s not complete without homemade mayonnaise or butter, to give it that sweet taste. You can eat Banh mi for every meal, just switch it up by getting one with eggs, onions, and soy sauce for breakfast. Craving dessert? Easy, get bánh mì k?p kem, which is Vietnam’s version of an ice cream sandwich--think ice cream with peanut sprinkles inside of a baguette! Rivaled by Pho as the most famous dish in Vietnam, these fresh spring rolls are not to miss. Pork, prawns, and vegetables are wrapped up in bahn trang, which is Vietnamese rice paper. Typically, it is served with peanut sauce or other Vietnamese sauces, like nuroc cham, a fish-based sauce. Travel to the south of Vietnam, and you’ll discover this sour soup. Made with fish from the Mekong River Delta, this soup is accompanied by tomatoes, pineapples, and bean sprouts. Steamed in a tamarind-based broth, it is seasoned with lemony-flavored herbs, caramelised garlic, and chopped scallions. This soup takes on several variations, ranging from squid to quail eggs as the base. Enjoy it alone, or for a more filling meal, pair it with rice! Vietnam is famous for its abundance of noodle soups, and this list wouldn’t be complete without a few. This particular noodle soup is made with either crab, small shellfish, or fish. The base of the soup, usually crab and tomato, is joined by soft rice noodles, shredded vegetables, herbs, and chili sauce. Topped with pork and some pieces of tofu, this dish is to die for. Squeeze some lime on top to give it that perfect balance of sweet and sour. Cha Ca is essentially fishcakes. They’re a lot better than they sound, and you can find them in Hanoi, where the fish is fresh and caught every morning. There’s even an entire street dedicated to this exceptional dish. Mild fish, such as tilapia and catfish, are marinated with ginger, garlic, turmeric, and fish sauce. To complete the meal, dill, onion, rice noodles, and peanuts are added. To get the best Cha Ca, head over to Cha Ca La Vong. You won’t have a hard time deciding what to order, because there’s only one thing on the menu, and you guessed it--it’s Cha Ca. Pho has some serious competition. Bun bo Hue is the up and coming noodle soup, and some say it’s (gasp!) even better than the famous Pho. Found in the central city of Hue, aptly named Bun bo Hue is made with pork, beef bones, some lemongrass, noodles, shrimp paste, and a hint of lime. Sometimes there are even congealed cubes of pig’s blood (yes, you heard right). Food is an adventure and sometimes you just gotta hop on and enjoy the ride. Vietnam has a lot more to offer than just delicious food! Check out what else you can get up to here!